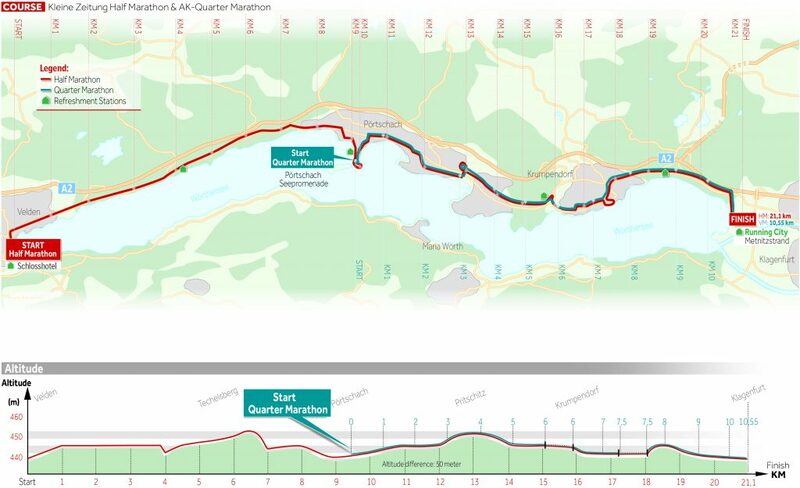 Enclosed, you will find all the information regarding the race and the route for the AK- Kärnten Quarter Marathon. You will also find the sign up in the right column. Sunday, no pick up of start documents and no registration! Attention: For safety reasons (bottlenecks on the track, large number of participants), participation in a wheelchair, hand bike, stroller, or accompanied by a dog is unfortunately not possible. For the journey to the start of the quarter marathon in Pörtschach we also recommend parking your car at the Minimundus car park and taking the ÖBB train from the train station KLAGENFURT WEST, which is only a short walk from the car park. The train schedule from KLAGENFURT WEST to Pörtschach can be found on the right side under Downloads (Attention – train times may change slightly). The train ride to Pörtschach takes about 15 minutes. The ÖBB train can be used free of charge with your bib number. 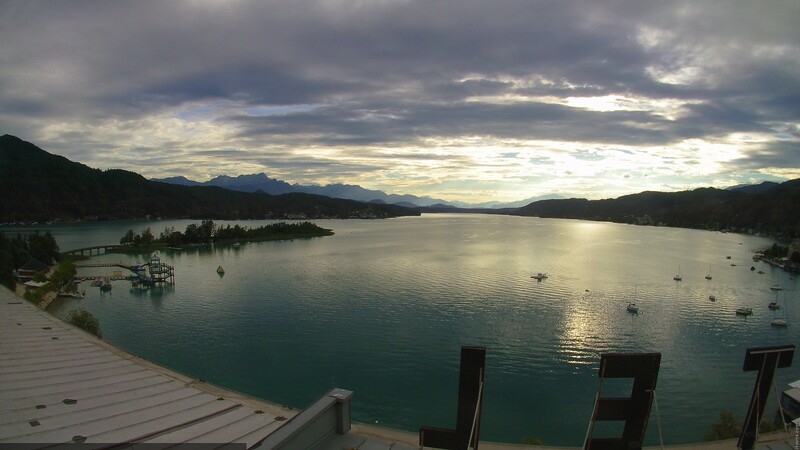 This also applies to all participants who have to return to Velden or Pörtschach after the race. Additionally, valid from Villach onwards, your bib number serves as your ticket. 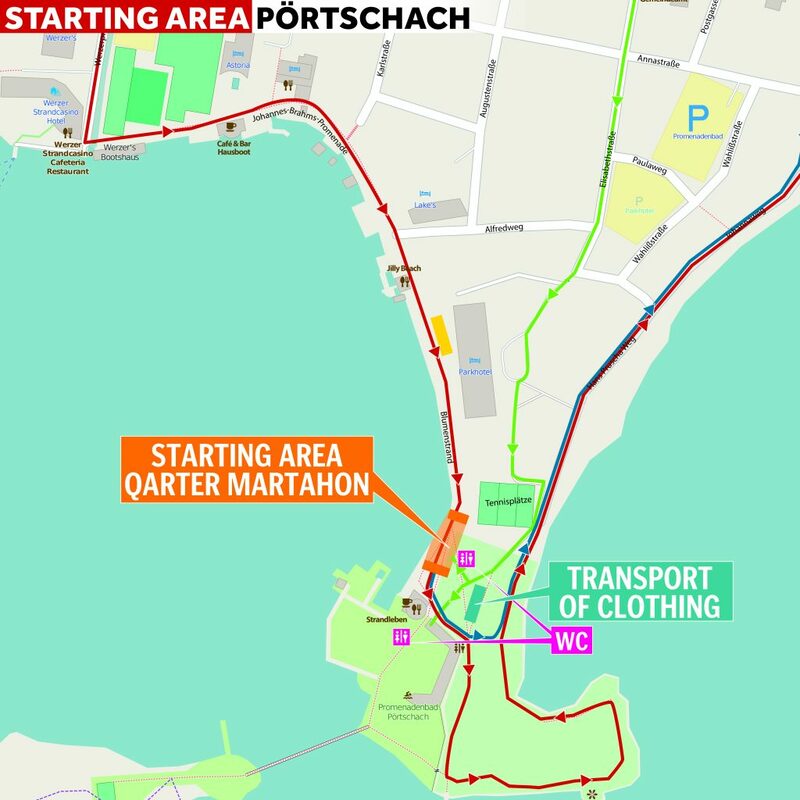 In the starting area of the quarter marathon in Pörtschach, means of transporting your clothing will be provided. When picking up your documents in the registration tent, you will also receive a duffle bag marked with your bib number. On the actual day of the race, you can put any clothing that you will not need for the race in the bag, which will then be transported for you to the Running City in Klagenfurt. After finishing your race, you can pick up your bag by presenting your bib number (the duffle bags will be ready to collect from the car park of the Strandbad Klagenfurt and will be marked with signs). We ask that you do not to put any personal valuables, such as iPods, iPads, and smartphones, in the bag. Please be aware that we assume no liability for the loss or damage of any personal valuables.